Joy Cone Company has maintained that same fresh product to market philosophy. Joy Cone’s main manufacturing is based in Hermitage, Pennsylvania, and it has satellite branches in Le Mars, Iowa and Mexico City, Mexico and Flagstaff. The company employs 1,000 people. The Flagstaff facility, which is located near Pulliam Airport, has 140 workers with flexible shifts that honor personal schedules. Fostering a family of employees has been the norm since the original George family, passing from Albert to Joe to David George. Working as plant manager when the Flagstaff location opened in 2000, David George is now CEO, and he brought Pozar to Flagstaff. It’s about quality of life. In fact, after a thorough search, Flagstaff was chosen as a western outlet to reduce product time on a truck. 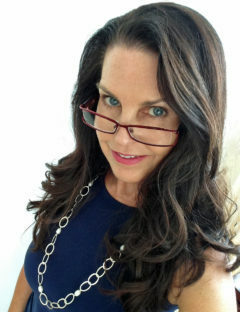 The mountain town has easy access to southern California and Phoenix, its largest markets, and resembles Hermitage as an attractive place to live. What is it like to work in a building that conjures up cookie heaven? “You get used to the sweet smell during the week, but on Monday, it’s new and wonderful again,” said Pozar. The company has grown steadily, and in July, two higher capacity ovens replaced five older models, increasing production at the Flagstaff plant from 16,000 cones per hour to 25, 000. New packaging equipment was required to meet the higher output. The original building, Production Room No. 1, now bakes only sugar and waffle cones. Production Room No. 2 handles cake cones and waffle bowls. The batter is made on the premises. Flour is conveyed from four 100,000-pound tankers to mix with water from flow lines overhead. The mixture is squirted onto a patterned grid, flattened with a plate, and then, baked. 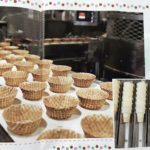 The waffles are peeled off mechanically, rolled into a cone or pressed into a bowl shape before cooling and packaging. Throughout, a rhythmic din matches the methodical march of cones in symmetrical rows that gather on rotating arms to cool. Inspection and packaging is completed by hand. The baking batter rises like a cake, and the scrap is trimmed to create a level cone, but not all pass muster. A defective cone may have a loose wrap, high or short tops, or be too light or dark. A pale, golden cone is perfect. Protective packaging is vital. Rolls of bubbly paper, foam trays and cardboard boxing—emblazoned with a cone and the words, “Do Not Crush”—guard the product on their journey to market. 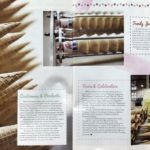 The machines that create Joy Cone cones are proprietary equipment, built by the company in Pennsylvania. Even the truck fleet is owned, dedicated to their fragile delivery. Royal blue boxes with purple and white stripes and pictures of ice cream cones are the signature retail product of Joy Cone, but the company also sells private label boxes. Food services cones for Sonic, Burger King, McDonald’s, Dairy Queen and other establishments are paper-wrapped for consumer handling purposes. Joy Cone barters cones for cream with the Flagstaff DQ in order to offer free soft serve cones to Joy Cone employees. Industrial sales include items like Drumsticks, wafers used for ice cream sandwiches and inclusions, such as cookies baked and broken, for use in ice cream production. As one might guess, spring is the busiest manufacturing time, as the plants ramp up for summertime treats. The Flagstaff warehouse is filled to the soaring ceiling with orange and green shelving packed with product awaiting delivery. Pozar said the cones boast an 18-month shelf life. “Studies have shown they are acceptable well beyond two years,” he added. Through the ages, manufacturing has often been a family legacy. It is no different for Joe Pozar Jr. His father worked for a competing cone company as did his father before him. Joe Sr. joined Joy Cone more than 40 years ago and encouraged his son to quit the construction trade and work for Joy Cone. The son then moved from Pennsylvania to Arizona to open the Flagstaff plant, and this time, the father followed the son. Joe Sr. is Flagstaff’s maintenance manager at the Flag location. “There’s a lot of Joy in the family,” said Joe Jr.
What could be more fun than seeing how ice cream cones are made? Arizona Highways magazine, “Mr. Rodger’s Neighborhood” and “How It’s Made” have witnessed the process, and you can, too. In 2017, the Flagstaff plant began offering tours from September through February, and they are a big draw. Elementary through college students adore the wonder, and public tours fill up fast. 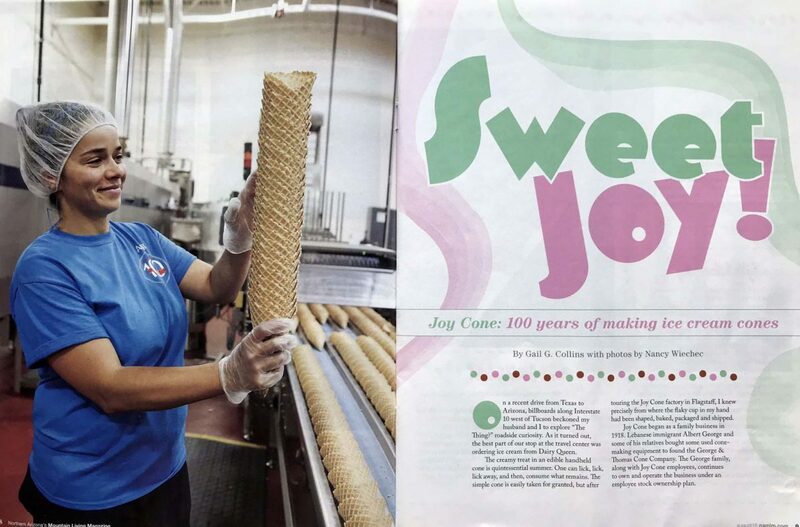 This year marks the 100th Anniversary of Joy Cone Company. In honor of a century of baking excellence, $100,000 will be donated to St. Jude’s Children’s Research Hospital.